From the northwest deserts to the southwest coast with its Mediterranean feel; from temperate savannas to the subtropical KwaZulu-Natal; South Africa seems to have all the world’s climates in its nine provinces. Although the weather obviously depends entirely on location and time of year, the climate generally swings between the summer (wet season) from October to March, and the winter (dry season) from May to early October. South Africa’s rainfall tends to come in the form of big, violent afternoon thunderstorms which end as quickly as they begin. During the wet season the countryside is luxuriant and green, and the birdlife is at its most active, making this the ideal time for bird watchers to visit. But although abundant water and food at this time of year is great for the wildlife, it does mean that the game tends to be scattered over a wider area, which can make it harder to find especially in the larger and less controlled reserves. It’s also worth noting that the damp weather brings plenty of insects and mosquitoes, although malaria is thankfully absent from much - but not all - of the country. Summer afternoons can be very hot and humid, although parts of the Western and Eastern Cape are markedly cooler. The far northwest is virtual desert and is dry throughout the year. Winter (dry season) is generally dry, naturally, with clear skies, making this an excellent time of year for safari. As the season progresses the animals concentrate around ever-shrinking water sources, making them more predictable and easier to find. The flip side is a landscape that becomes increasingly dry and dusty. Aside from the weather, it’s also worth keeping the South African holidays in mind as you plan your trip. South Africans head to the bush in droves during their vacations which can mean higher prices and more congested parks. All things considered, the months between May and August offer the best weather and opportunities for wildlife spotting. But going on safari is a year-round pursuit in South Africa and whatever time of year you decide to visit, you’re bound to be blown away. Healthwise, South Africa is generally a trouble-free destination, but make sure all of your standard vaccinations are up to date before travelling. Malaria can be a problem in parts of the northeast (which is the region where the best known parks and reserves are) so always wear insect repellent at night, sleep under a net and follow your doctor’s advice on anti-malarials. First time safari-goers are often worried about encounters with dangerous wildlife. The simple truth is that you won’t get eaten by a lion! Safari guides are trained to keep their guests safe and will tell you how to act in any given encounter with wildlife. If you’re on a self-drive trip, never get out of your car unless specifically told that it’s safe to do so, never attempt to feed or pet the animals, and never walk around in the bush alone at night. Oh, and just so you know, elephants, buffalo and hippo are all far more dangerous than lions. Give elephants a very wide berth especially if you happen to be on foot. Never get between a hippo and water. And avoid walking in dense bush where you could meet buffalo. The more real health risk comes from drinking tap water or eating something which doesn’t agree with you, both of which can lead to an upset stomach for a day or so. Only drink treated water and be careful with what you eat - although the food prepared at most safari camps is invariably safe - and often world-class. The heat and strong African sun can easily leave you burnt, dehydrated or, worse, give you heat or sunstroke. Wear a wide-brimmed hat, bring lots of water and slap on plenty of factor 50 sunscreen. South Africa has an unenviable reputation for violence and robbery and it would be remiss to say that there isn’t a danger from this. However, the threat to most tourists is very low. Most violence occurs in poorer city neighbourhoods and not in tourist areas. More to the point, robberies and violence on a safari is only going to be an issue if a troop of baboons manages to get into your room! You don’t need much specialised equipment or gear for a South African safari. Most people will want a photographic record of their adventure and if wildlife images are important to you then you need a good DSLR camera with a long lens, at least 400mm. Anything less, and in most cases the animals will appear as nothing but hazy dots in a sea of scrub. Bring spare camera batteries and memory cards. Binoculars are another essential. Get the best pair you can afford and make sure that everyone in your group has a pair or there will be endless bickering over whose turn it is to get a closer look at that distant rhino. A good field guide to the birds and animals is an excellent addition to your pack. Most guides will have one for guests’ use, but it’s still nice to have your own. Lightweight walking shoes are a good idea (and essential for anyone planning a walking safari). Hiking trousers and shorts are also worth having. They provide protection from the thorn bushes and sun and are comfortable to wear. Don’t forget to bring a fleece as it can be surprisingly cold during a sunrise safari. Sun hat, sunscreen and sunglasses are three other essentials. If staying in up-market accommodation, it’s probably worth bringing a set of slightly smarter clothes for evening dinner. A safari is a wonderful opportunity to experience nature on a grand scale. But although it’s easy to get swept up with the romance of it all you shouldn’t forget that your presence has a direct impact on the ecosystem, for good or bad. The upside of your safari is that the money you put into the system pays for conservation and helps keep the land protected and wild. Without wildlife tourism there’s a very real chance that many of South Africa’s conservation zones would become, or remain, farmland with all the implications that has for a fragile ecosystem. In addition, there are things you can do to make your impact is as positive as possible. Before booking with any safari company, camp or lodge, or even choosing the parks and reserves you wish to visit, take a look at the conservation and community projects they are involved with. Companies investing back into local communities and conservation projects often like to shout about it on their websites. And when you do book, remember to mention that their community projects were a factor in your decision. This will encourage further investment in such programmes. On safari, treat the wildlife with the respect it deserves. Getting too close to wildlife, approaching animals head-on or pursuing and encircling them is likely to disturb them and cause distress. Approach wildlife at an angle, which is less threatening than coming at animals head-on. Movements must be steady and predictable. How close you can get depends on the species but in general your presence shouldn’t alarm the animals, cause them to flee, or change their normal behaviour. If the animals appear disturbed, you should move away immediately. Noise, such as the sound of engines, laughter and shouting, should be kept to a minimum. Engines should be switched off when stationary and vehicle horns or fog horns on boats should never be used. Bright lights and flash photography will startle an animal, possibly costing it a meal or even its life. On night drives, the use of naked searchlights should be replaced with red filtered lamps that do not disturb wild animals. Avoid causing unnecessary damage to the environment. Litter, including plastic bags, batteries and cigarette butts, can be ingested by wildlife, causing injury or even death. Make sure you don’t drop anything and dispose of your rubbish properly. Absolutely no direct contact should be made between wild animals and people, including the guides. This can be highly stressful for the animals concerned, run the risk of transmitting disease, and can potentially, cause injury or even death. If you are observing wildlife from a vehicle, never get out of the car unless instructed to do so by your guide. All animals have very specific diets and feeding them different foods could make them ill. Feeding wildlife can also change their social and feeding behaviour, encouraging begging, causing conflict between other animals, and increasing the likelihood of aggression towards humans. If travelling in a group, don’t be shy. If you see or experience unacceptable human behavior that has a negative impact on wild animals, be sure to speak out. If you cannot change the behaviour at the time by voicing your concerns, contact your tour operator afterwards and register your disapproval. Conversely, if you have a great experience, thank and reward your guide appropriately and let your tour company or agent know that you appreciate their conscientious approach to what should be a magical experience. Part of the joy of seeing animals in the wild is that you’re visiting them in their own environments and witnessing their natural behaviour. Inevitably there will be times when the animals are less active or visible, depending on the location, the season, or even just the time of day. Do your research before you travel and find out the best time of year to view the wildlife you most wish to see. If the animals aren’t active when you visit, don’t be disappointed: this is not a zoo. It’s all part of a respectful approach to the natural world that you’re visiting. It’s important that tourists don’t pressure their guides into manipulating the situation to make viewing the animals easier, or to set up that perfect photo opportunity. Finally, when you get back home talk to your friends about the environmental issues the parks and reserves of South Africa face, and help spread the important message of conservation to your friends and family. For more information on ethical wildlife holidays and how to interact with wildlife in a responsible and sustainable way, see our companion guide Compassionate Travel: A guide to animal-friendly holidays. Which region should I visit? If safari and wildlife spotting is the be-all and end-all to your trip then the the northeastern region with its greater density of parks and reserves is likely your best option. But if you intend to mix safari with some other activities, such as whale watching, diving, food and wine, then the parks of the Eastern and Western Cape may be a better option. There are two main classes of safari: self-drive and organised trips. Self-drive means using your own vehicle (typically a rental car) to travel between the game reserves and, where self-drive safaris are permitted, making your own way through the reserves and parks. You’ll need to book ahead at your chosen accommodation in each reserve, and be sure to check that self-drive safaris are permitted. Organised safaris are similar to typical packaged multi-stop tours, usually with a number of different reserves or parks in one trip. They include all accommodation, collection and ground transfers from the airports (or, in the case of some luxury lodges, fly-ins to their own private airstrips). You won’t need your own vehicle and all game drives will be with a guide, usually in a small group of guests. Which is best for our group? The main pros to self-drive safaris are that they’re cheaper, allow you to visit places that aren’t included in package tours, and they give you more freedom to change plans at the last moment. There are a number of drawbacks. Firstly, you most likely won’t be in a specialised safari vehicle, typically a large, open-sided 4WD that is purpose made for good visibility. This is usually a deal-breaker for keen wildlife spotters and photographers, as being in a rental saloon car severely limits where you can go and how much you can see. Self-drive safari also means that you are your own guide and wildlife spotter. Fun perhaps, but you’ll miss lots of sightings without a proper guide. But not all organised safaris are created equal. The best organised tours use customised jeeps and highly-trained guides who will enliven your experience with their vast knowledge and tracking skills. Poor quality safaris can mean an overcrowded minibus hurtling from one sighting to the next with a guide who barely knows his giraffe from his flamingo. As with most things in life, you get what you pay for -- aim as high as you can afford, even if that means taking a shorter trip. In a word, no. The chances of being attacked by an animal are so minimal it hardly warrants considering. However, you must stick to the general rules imposed by the park and heed the instructions of your guides. If you break those and decide to go for a moonlight walk through the bush on your own, then yes, you might become a midnight snack. Kids of all ages enjoy safaris as much as any adult. But a safari tends to mean a lot of time in a vehicle, often on bad roads and in hot weather. If there’s plenty of action taking place, younger children will be as hooked as you. But they can become bored the moment the pace slows down. If travelling with kids, ensure you choose camps or lodges that offer plenty of child-friendly activities. Some lodges and camps don’t accept children under a certain age. And don’t plan on heading out on early game drives every morning. The standard of food is generally very high -- even in the remotest lodges. Most lodges will have qualified chefs on hand and part of the entire safari experience is the cuisine and the emphasis placed on food. South Africa’s currency is the Rand, denoted by an R in shops and ZAR in currency trading. A favourable exchange rate with major currencies makes travelling in South Africa cheaper than visiting Europe or the United States. You can use credit cards in many shops, restaurants and lodges; there are many ATMs throughout the country and you can exchange traveller’s cheques at all banks. The best cash currencies to bring are US Dollars, Euros or British Pounds as these notes are accepted at the many Bureaux de Change in bigger cities. You will be offered currency exchanges by people on the street throughout Africa. It may be tempting to avoid the conversion commissions; however, this is illegal and should be avoided at all costs. Will I have to carry lots of cash? On safari, almost all major expenses (all meals, activities, and, sometimes even, drinks) are covered in the costs of accommodation. Any extras tend to be very limited, and can generally be paid by card. In urban centers, particularly in South Africa, ATMs are to be found in most shopping malls and banks, and will accept international cards using the Cirrus and Plus systems, as well as Visa, Mastercard, or American Express credit cards (provided your credit account has a cash withdrawal facility). All airports in south Africa also have ATMs, and you can withdraw money as soon as you land (generally at a better exchange rate than if you were to exchange cash or travelers checks at a bank). How much should we tip our guides? In some environments such as at lodges, on safari and on treks, tipping is structured in ways that make it clear, fair and less easy to abuse. Tips can be given in local currencies or in USD, GBP or EUR, so be sure to carry small denominations with you. Guide/tracker: Your guide and tracker are central to the success of your safari. You’ll have plenty of time to connect with them and, by the end of your trip, they might just be your new best friends. With guides, it’s customary to leave a tip on your departure. What you choose to leave is totally up to you, but a general rule of thumb on safari is to tip your guide US$10 and your tracker US$5 per person per day. Guests that are returning to a lodge that they have visited before, sometimes even bring small, personalised gifts for their guides. Alternatively, the lodges will generally give you a guideline for tipping and gifting if you ask them. Camp/lodge staff: There is a lot that happens behind the scenes on your safari and it’s important to consider and acknowledge all the wonderful people who look after the lodge. Most safari lodges and camps have a communal tip ‘jar’ and around US$10 to US$20 per day is considered a reasonable tip. Outside of the lodges/camps, you might want to tip 10% to 15% for good service at restaurants and in bars. Most waiters earn an incredibly basic wage so tips are a much-needed supplement. If you're just buying a beer or a coke, it's fine to leave the change rather than a specific tip. If you're dining with a large group at a nice restaurant, a service charge will usually be automatically added to your bill. At budget hotels, tips for housekeeping are not expected but are nevertheless always welcome. At luxury safari camps there will often be a general tipping box at the front desk or reception. Tips deposited here will usually be spread evenly between camp staff; so if you want to tip someone specifically, make sure to do so directly. 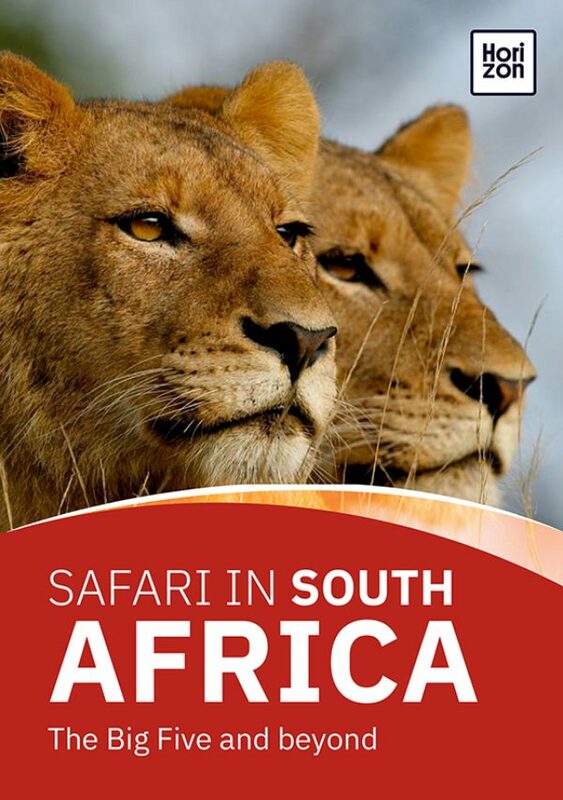 Previous South Africa Self Drive Safari Routes Next What Is Compassionate Travel?